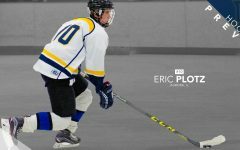 Photo courtesy of Marquette Athletics. 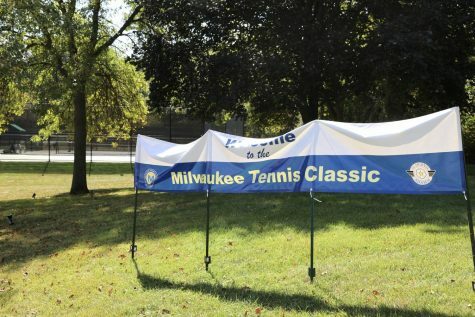 The Marquette men’s and women’s tennis teams competed in the 39th Milwaukee Tennis Classic this past weekend. 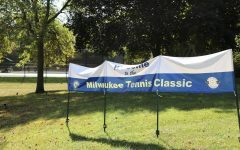 The tournament played host to men’s tennis teams from Marquette, Air Force, Ball State and Wisconsin-Madison. 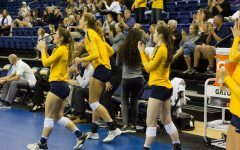 The women’s bracket featured Marquette, Western Michigan, South Carolina and Wisconsin-Madison. 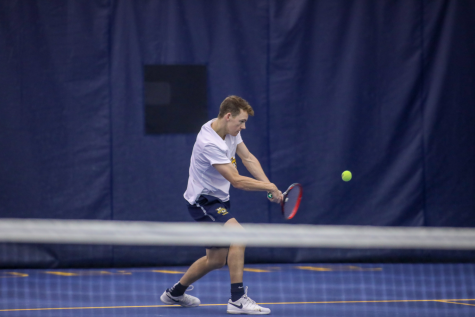 The men started the tournament Friday with a doubles matchup against Wisconsin. 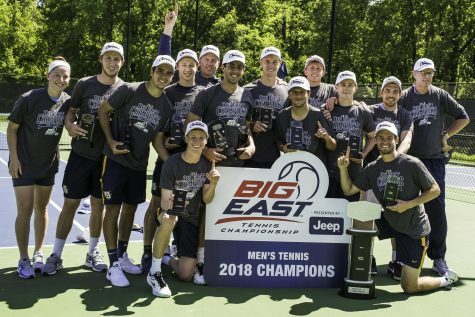 Marquette was unable to pull off the doubles win, falling 2-1, but were able to redeem themselves by moving past Ball State 5-2 in singles play. 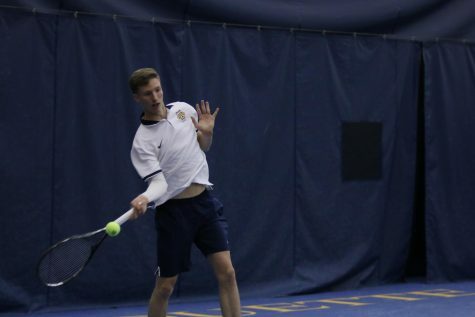 The Marquette doubles team of senior Vukasin Teofanovic and sophomore Nick Dykema was the only team from Marquette to register a win at doubles for the day. 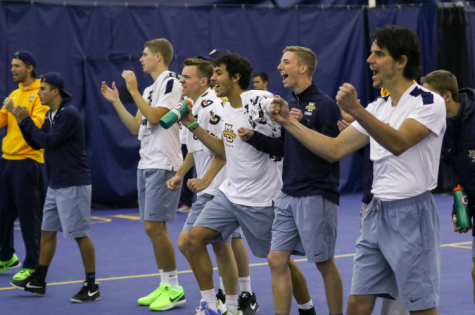 Saturday, the men delivered a full sweep of Air Force in singles action and defeated Ball State 3-1 in doubles. Teofanovic and Dykema won 8-6 to keep their undefeated streak alive. 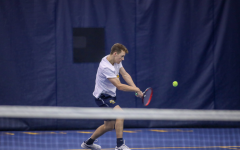 Sunday, the men rounded out the tournament by beating Air Force at doubles and falling short to Wisconsin in the singles match. Teofanovic and Dykema solidified their spot of doubles champions by gliding past Air Force with an 8-4 win. 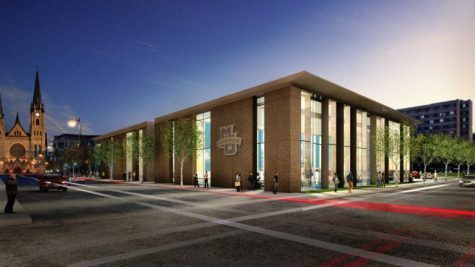 Also awarded a title was Marquette’s No. 1 in singles, sophomore Daniel Fernandez. 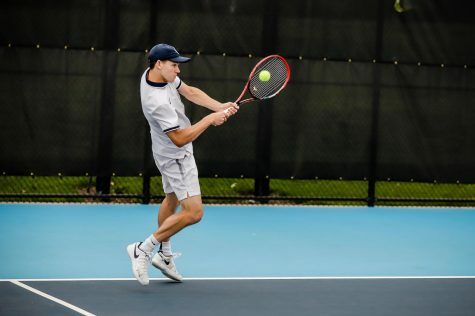 Fernandez beat Ball State’s first singles player, Lucas Anderson, in a three set match Friday. 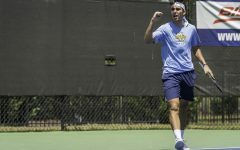 Saturday, Fernandez moved easily past Air Force opponent Lucas Fumagalli. 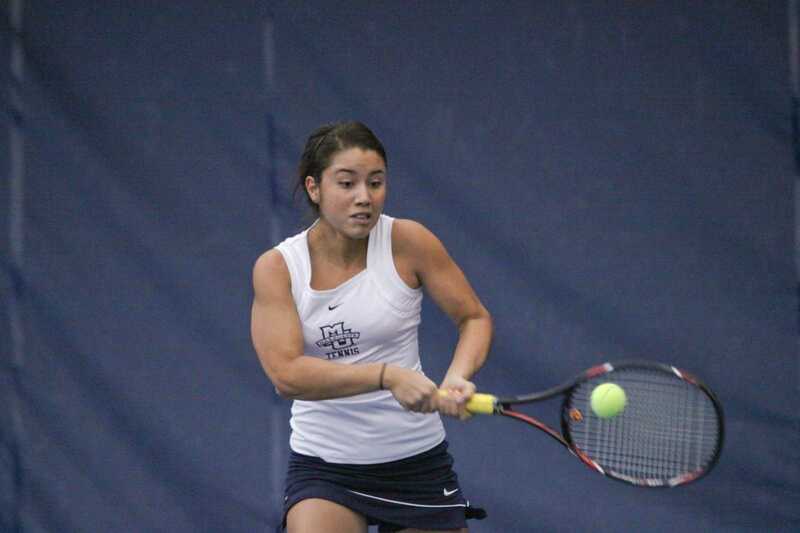 However, Fernandez was unable to go undefeated for the tournament, losing to Wisconsin’s first singles player. 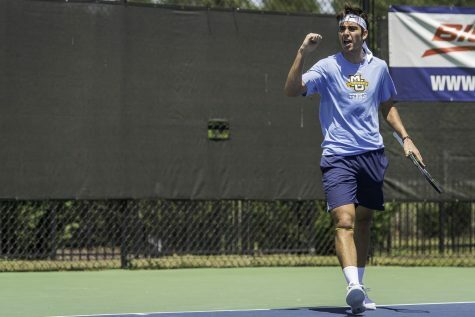 Fernandez’s performance throughout the tournament earned him the men’s singles runner-up title. 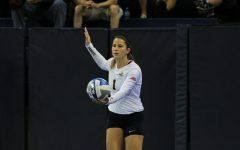 The women’s team also had a successful tournament. The women kicked off the tournament Friday with a doubles matchup against Wisconsin. First doubles partners junior Erin Gebes and senior Ana Pimienta won in a close 8-7 match while senior Ali Dawson and junior Aleeza Kanner topped the Badgers in a decisive 8-4 win. However, the women were unable to pull out the singles team win against Western Michigan, losing 3-4. 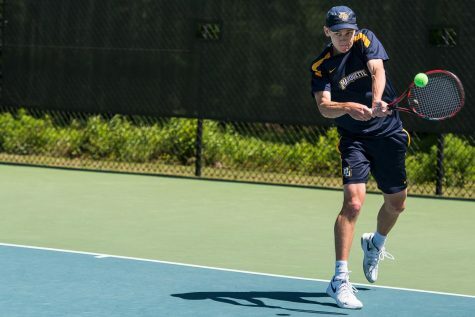 Saturday’s singles play against South Carolina ended in a 0-6 loss for the Golden Eagles. Pimienta lost to the singles champion Caroline Dailey, and Gebes fell to the runner-up singles champion Meghan Blevins. Despite the singles losses, the day was not a bust for the Golden Eagles, as they won the doubles match 2-1 against Western Michigan. 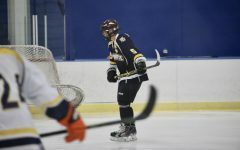 The women finished the tournament Sunday with a tie and a loss. 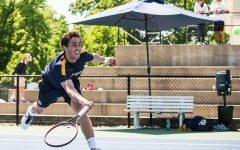 South Carolina again proved to be too strong of an opponent beating Marquette 2-1 in the final doubles match. 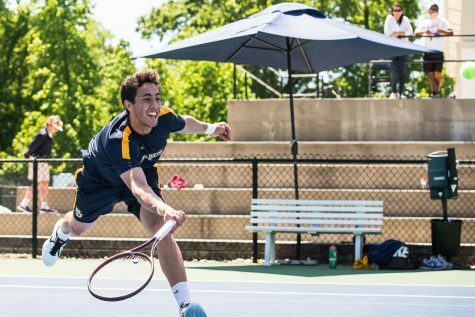 Marquette tied Wisconsin 3-3 in singles play. Pimienta and Gebes earned the women’s doubles runner-up title, and Pimienta was also awarded the Chas Mulcahy Sportsmanship Award. The men will travel to West Lafayette, Ind., to participate in the Purdue Fall Invite this upcoming weekend. 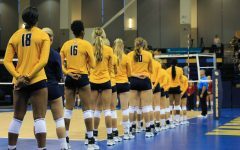 The women will have some time off until Sept. 26, when they will travel to Colorado Springs, Colo., for USAFA Invitational.